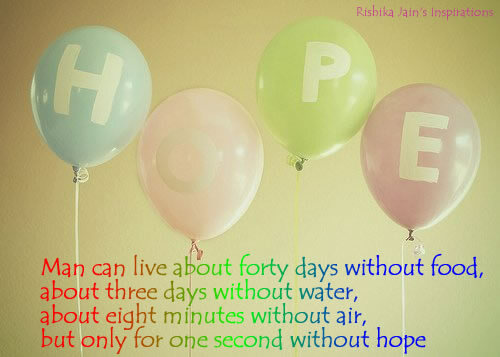 Never give out while there is hope; but hope not beyond reason, for that shows more desire than judgment. when we tell ourselves we’d rather give in. and it can bring light into the darkest of places.